Social media has a bad reputation. It’s full of trolls trying to inflict pain on other people anonymously through their computer screen. It’s a false representation of living the perfect life, stoking envy and despondency in others. It’s the ultimate vanity project, epitomized by the selfie. And I would agree, it is all of those things. So how do I get from there to advocating that you use it more? Over in our corner of the Internet, the way those of us living with chronic illness use social media is very different. Our trolls are benevolent, lending support through random acts of kindness, like messaging responses to others who are having a bad day. Validation, support, humour and advice are far more common than Twitter feuds. No one is pretending to have a better day than they actually are – we keep things very real. 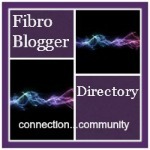 Since few of us know other people living with fibromyalgia in real life, social media offers a way to connect with other people who can actually understand what you’re going through. Being able to interact with other people when you’re stuck at home is a blessing, rather than a curse. Other studies have found that patients with chronic pain who use social media report positive health outcomes. Merolli et al. (2015) found that a positive impact on the ’emotional burden’ of living with chronic pain was the most reported health outcome of using social media, as well as cultivating ‘relationships with other people” and a greater ‘enjoyment of life’. Interestingly, chronic pain social media users also reported cognitive benefits, including an ‘ability to take in new information’. An improvement in knowledge of the disease and self-management has also been found. Twitter has a large chronic illness community, and I have personally found it easier to connect with other people through words rather than through pictures. For me, there’s a greater sense of going through the ups and downs of life with others on Twitter, which is helped by the fact that Twitter puts the posts of people you interact with most at the top of your feed. The best place to find other people is through Twitter chats, which occur at a set time. Look up #SpoonieSpeaks or #SpoonieChat if you are interested in finding out more. Or search for all of the most recent posts that use relevant hashtags like #fibromyalgia, #fibro, #spoonie, #chroniclife. Instagram is another popular platform, where users post pictures, memes or inspirational quotes, and conversations occur in the comments section. You can also find posts clustered by hashtags, just like Twitter. One of the biggest sites is, of course, Facebook. I have found that Facebook groups are the best part of this platform for providing chronic illness support. Larger groups tend to focus on answering questions and sharing information while smaller groups tend to focus on emotional support. If you’re concerned about privacy, or are looking for a support group, then a members-only group is the way to go – this is a feature that none of the other social media platforms have. Even with the many benefits that social media use can provide, there are some drawbacks to consider. If you are feeling overwhelmed, sometimes scrolling through a feed of other people who are also struggling can make you feel like it’s all too much. Occasionally you may see someone turning symptoms into a competition (“mine are worse than yours”). Keeping track of how many “likes” your post gets versus someone else’s post will feel about as good as any popularity contest does – it’s better just not to pay attention. Outside of the chronic pain community, many people use social media to present the false image of having a perfect life. Does anyone really feel better after half an hour of scrolling past all the happy pictures of high school friends going on exotic vacations, buying their first homes or having adorable babies? You might feel happy for them in principle, but seeing it all in one place is usually the opposite of uplifting. Research has found that scrolling through these types of social media posts can cause individuals to make negative self-comparisons to others, which in turn can worsen anxiety and self-esteem. In order to avoid this problem, you may find it helpful to create a profile dedicated only to connecting with the chronic pain community online. Finally, it’s important to disconnect and make time every day to be present! Too much time on social media can be negative for your wellbeing. Even though we live with difficult symptoms, there are many simple pleasures to enjoy every day, like the taste of a good meal, noticing a pretty view, or sharing a hug with a loved one. Your virtual life shouldn’t get in the way of your real life. But connecting with social media is a blessing for those of us with chronic illness, as long as we practice ‘everything in moderation’. Merolli, M., Gray, K.,Martin-Sanchez, F., & Lopez-Campos, G. (2015). Patient-Reported Outcomes and Therapeutic Affordances of Social Media. Journal of Medical Internet Research 17(1). Merolli, M., Gray, K., & Martin-Sanchez, F. (2014). Therapeutic Affordances of Social Media. Journal of Medical Internet Research 16(12).